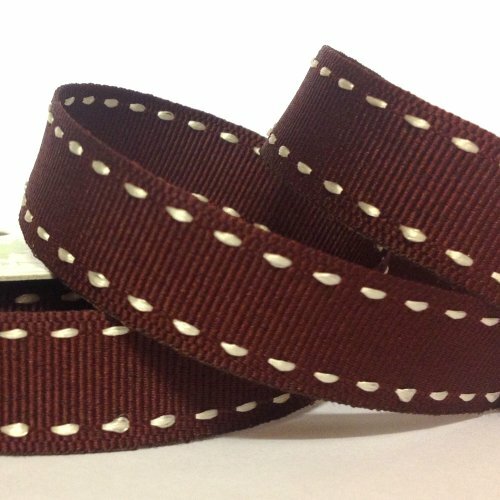 Side Stitch or sometimes referred to as saddle stitch is a very smart ribbon as it is a grosgrain texture effect with an up and over stitched edge. Take a look at the rest of the Home Spun section and match these with our own dots in cranberry reds, pinks and blues. These are ideal for any sewing and craft projects. 4 metres on a roll.